Reader Patricia says she's "tired of having to write in my e-mail address over and over again as I enter different Web sites." She notes that some sites let her use Google's AutoFill feature (smart choice), but many don't. What you need, Patricia, is a good macro program, one that automatically inserts text when you type an abbreviation or hit a hotkey. Although you can accomplish this sort of thing with AutoHotKey, I recommend PhraseExpress. A longtime favorite, it was recently updated to version 8. Among other features, PhraseExpress automatically expands typed abbreviations. So to quickly insert, say, your e-mail address, you could type "em1" (as in "e-mail address #1"), and PhraseExpress would instantly paste in the complete address. Likewise, you could type "sig" to insert a custom e-mail signature (complete with images and/or HTML code) at the end of e-mails. All this auto-texting works in any program (word processor, e-mail client, blog tool, etc. 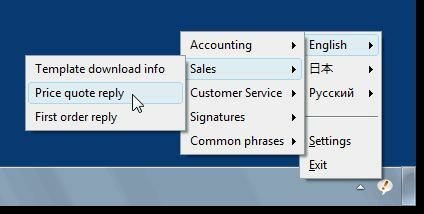 ), and PhraseExpress can even scan your documents and e-mails to find frequently used text to add to its auto-complete list. (It can import existing AutoCorrect entries from Word, too.) Of course, you can define your own entries as well. The program includes a global spell-check feature and a clipboard history tool, which stores all recent clipboard entries, not just the most recent one. Version 8 can also recognize and correct your most common typing mistakes, and it responds to macro entries faster than ever, so you don't lose any keystrokes while typing. Thus, while it may be overkill for your needs, Patricia, it'll definitely get the job done--and a whole lot more. Amazingly, it's a free program.